This year’s Schöller Senior Fellow is Prof. Jeffrey Parsons, Ph.D. (Memorial University of Newfoundland). 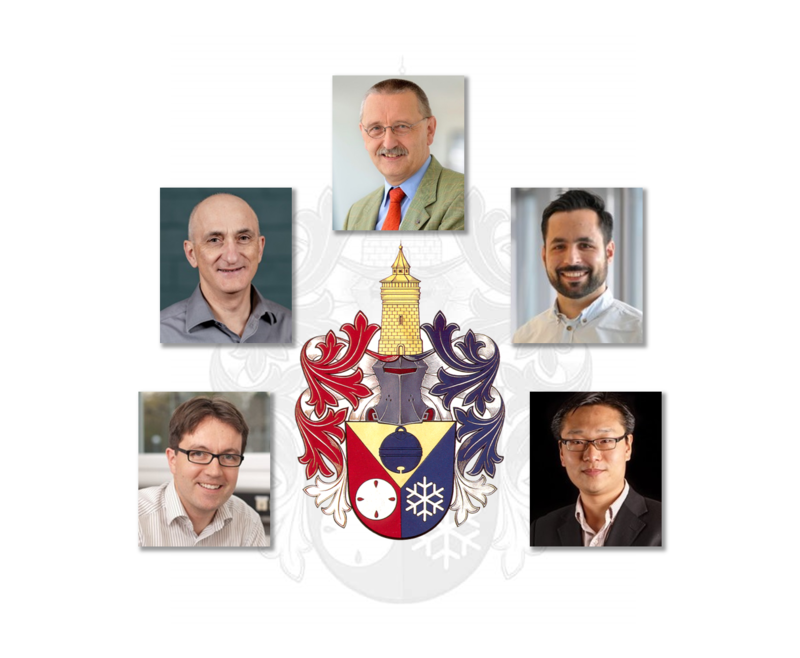 Schöller Fellows 2018 are Dr. Christian Baccarella (FAU Erlangen-Nürnberg), Prof. Dr. Joachim Hüffmeier (TU Dortmund) and Prof. Dr. Yipeng Liu (University of Reading). The honorary award goes to the former Chancellor and honorary senator of the FAU Thomas A. H. Schöck. 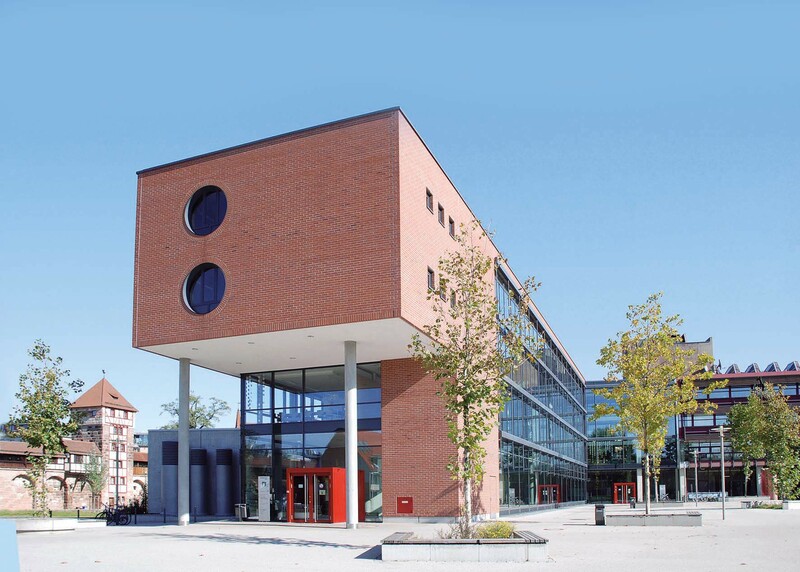 The Award Ceremony will take place on May 16, 2019 at the Hirsvogel Hall in Nuremberg. For further information on the venue, please click here. 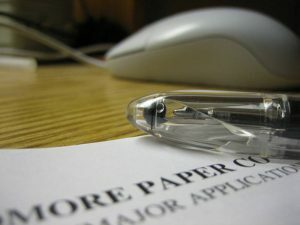 The application form as well as further information regarding the application process and the fellowships (selection criteria, rights and obligations, etc.) are available here. 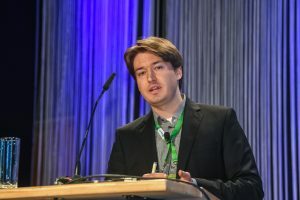 The Journal of Accounting and Economics (A+) – one of the leading outlets for accounting research worldwide – has published the paper “Size management by European private firms to minimize proprietary costs of disclosure” by Schöller Senior Fellow David Burgstahler (University of Washington), Darren Bernard (London Business School) and Devrimi Kaya (Ruhr-Universität Bochum). The paper examines the practice of size management—minimizing assets, sales and employees—that some European private firms use to minimize the costs of financial disclosures and mandatory audits. Since September 1, 2018 Schöller Fellow Dr. Tim Alexander Herberger is Chair of Business Adminstration I at Andrássy University Budapest (AUB). AUB was founded in 2001 and was the first university outside of Germany to be accredited according to German rules and criteria. 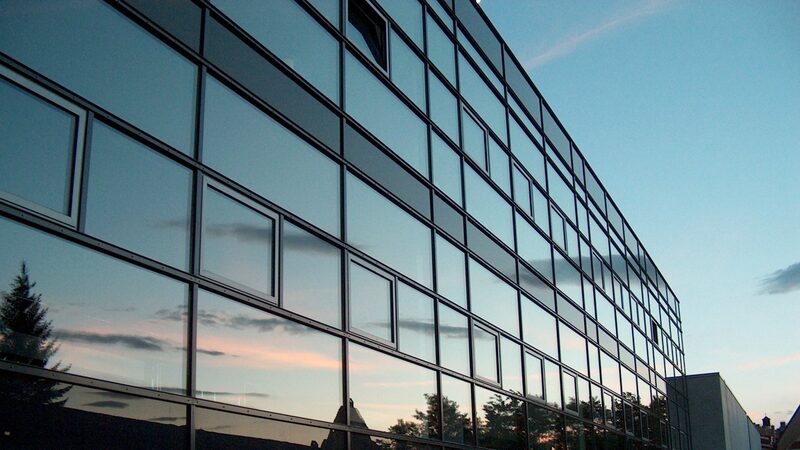 With its quality assurance system certified by the evalag evaluation agency from Baden-Württemberg, the university guarantees the best study and teaching conditions. It was the fifth in Hungary to be accepted into the excellence program of Hungarian colleges, thus earning the title “University of National Excellence”. Currently about 250 students and numerous scholars from more than twenty countries study, teach and research at AUB. 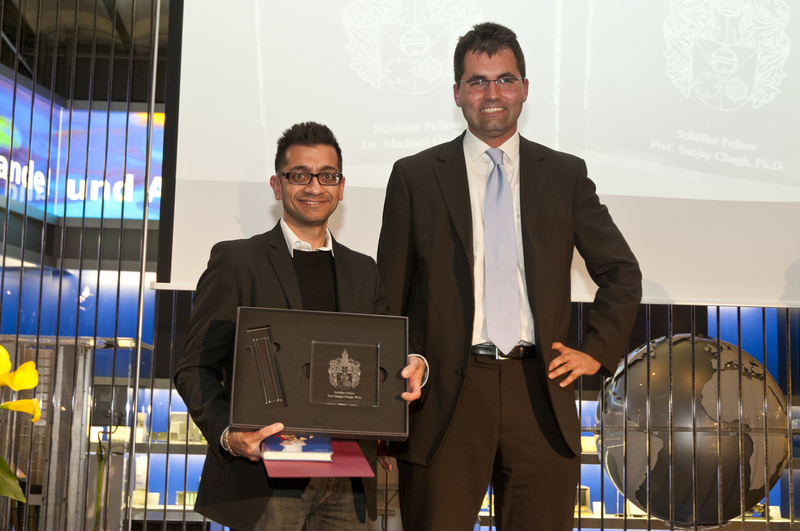 Schöller Fellow Sanjay Chugh has published in two top-tier journals in Economics. The International Economic Review published the article „Efficiency and Labor Market Dynamics in a Model of Labor Selection” (with Christian Merkl, FAU). The article „Optimal Fiscal Policy with Labor Selection” with W. Lechthaler (IfW Kiel) and Christian Merkl (FAU) was published online in June 2018 by the Journal of Economic Dynamics and Control (A). 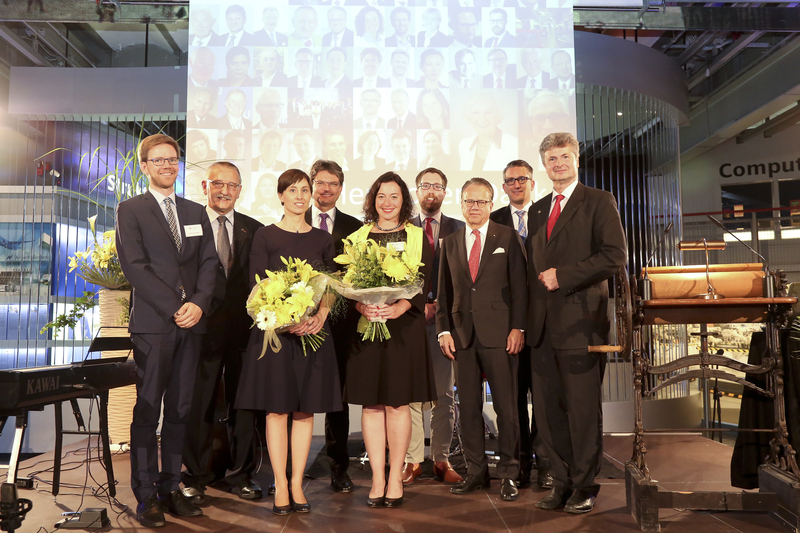 In the course of the Award Ceremony of the Schöller Research Center on June 14, 2018 at the Museum for Industrial Culture in Nuremberg this year’s Schöller Fellows were introduced and honored. Impressions of the event can be found at our photo gallery and our Youtube-Channel soon. During the 31st International Congress of Actuaries (ICA) in Berlin, Schoeller Fellow Dr. Alexander Bohnert was elected as a board member of the AFIR-ERM (Actuarial Approach for Financial Risks and Enterprise Risk Management) Section of the International Actuarial Association (IAA). For further information see here. 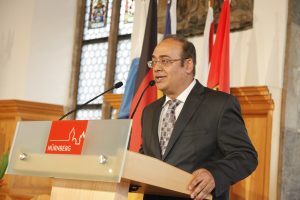 Schöller Senior Fellow Professor Samir Chatterjee, PhD will give a talk on „Designing Persuasive Health Technologies: Where Mobile, Cloud and Remote Sensing Converge“ at the School of Business and Economics on June 14, 2018. 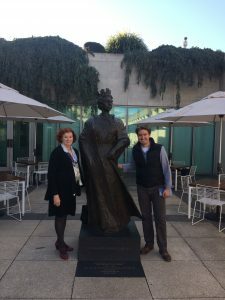 Samir Chatterjee is a Professor and Fletcher Jones Chair of Technology Management and adjunct Professor of Design & Innovation at University of Southern California. 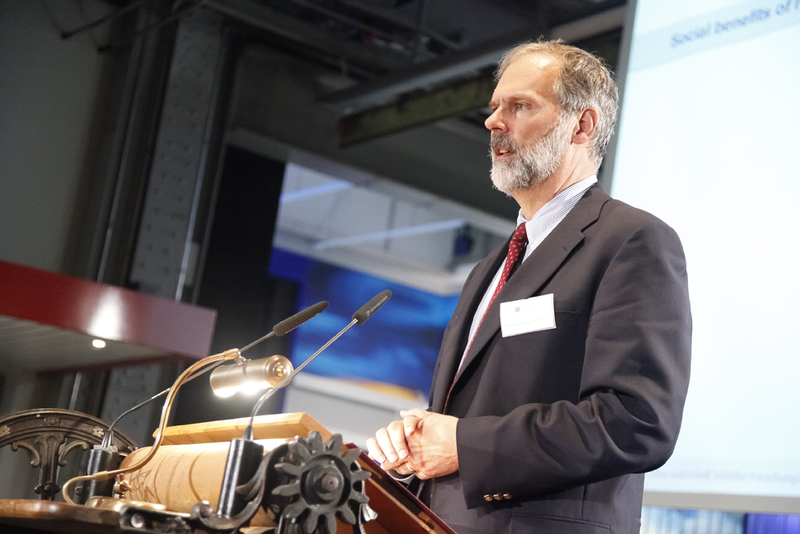 In 2017, he was selected as Schöller Senior Fellow 2017 by the Dr. Theo and Friedl Schöller Research Center for Business and Society. Professor Chatterjee’s lab is at the forefront of designing remote monitoring technologies that can assist such patients to live healthy and age in place with technology support. His team has developed several persuasive technologies to modify human behavior that are impacting peoples’ lives. He is currently exploring new approaches and solutions to prevention and wellbeing. In this talk he will describe the design challenges, innovative solutions and share preliminary results from a Heart-Failure trial being conducted at Loma Linda Hospital. He will also share the challenges of trying to commercialize this innovation through his startup. The talk will take place on June 14, 2018 from 10 to 11 am in LG 0.424. Further information can be found here. 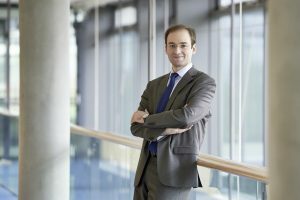 The Geneva Association (International Association for the Study of Insurance Economics) and the International Insurance Society (IIS) have announced the recipient of the “2018 Shin Research Excellence Award” and it goes to Schoeller Fellow Dr. Alexander Bohnert and Dr. Dr. Albrecht Fritzsche of FAU and Schoeller Senior Fellow Prof. Dr. Shirley Gregor of ANU Canberra. The three researchers will receive this distinction for their paper entitled “Digital Agendas in the Insurance Industry: The Importance of Comprehensive Approaches” during the IIS Global Insurance Forum 2018 in Berlin. This award includes USD 5,000 and was established to promote practically-oriented, applied research in the field of insurance and risk management, addressing topics that directly influence business operations. For further information, see Geneva Association and International Insurance Society. 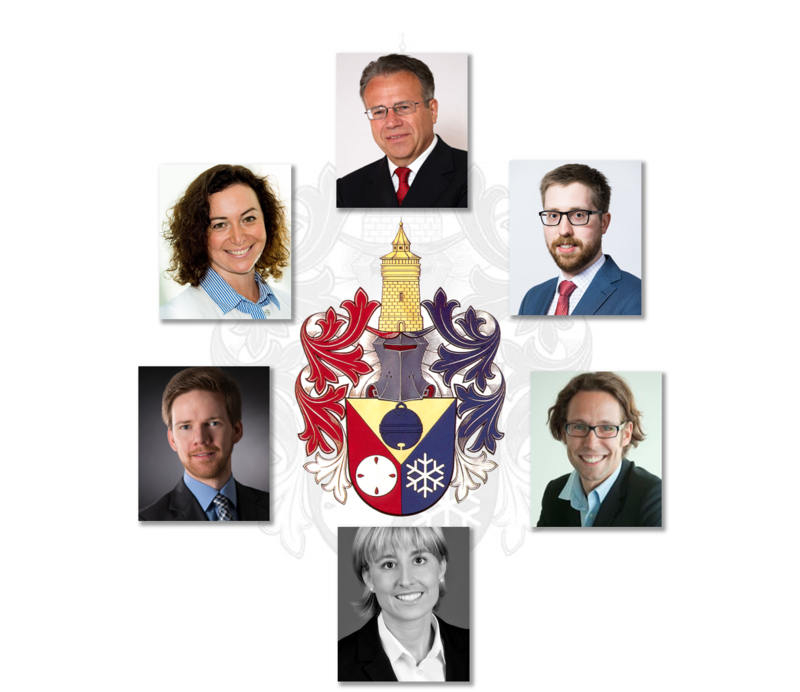 This year’s Schöller Fellows are Dr. Julia A. Fehrer (University of Auckland), Prof. Dr. Jacob Hörisch (Leuphana University Lüneburg), Dr. Julia Kraft (Heinrich-Heine-University Düsseldorf), Dr. Daniel Kühnle (University Erlangen-Nuremberg), and Dr. Harry van der Weijde (The University of Edinburgh). 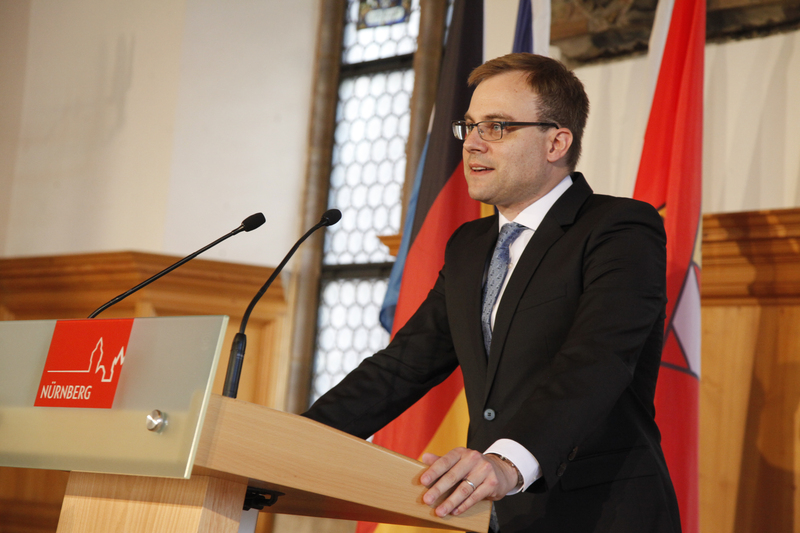 The honorary award goes to the former CEO of the German Federal Agency for Employment Dr. h.c. Frank-Jürgen Weise. 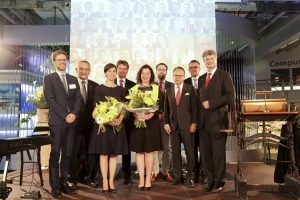 The Award Ceremony takes place on Thursday, June 14, 2018 at 5 pm at the Museum for Industrial Culture in Nuremberg. Additionally, click here for driving directions. Schöller Fellow Michael W. Stich has published in two top-tier journals in Accounting. The Accounting Review (A+) published the article „The Real Effects of Mandatory Quarterly Reporting” (with Jürgen Ernstberger,TUM; Benedikt Link, Projekt Fundraising GmbH & Oliver Vogler, Ledvance GmbH) in its September 2017 issue. The article „Does Sustainability Assurance Improve Managerial Investment Decisions?” (with Maria Steinmeier, TUM) was published online in December 2017 by European Accounting Review (A).